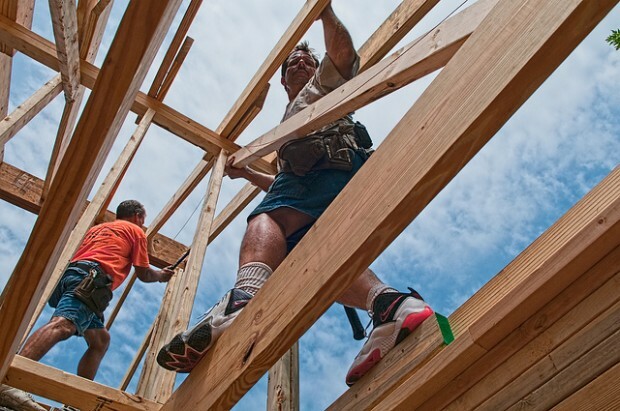 A slowdown of new home construction is sometimes cited as a reason behind high unemployment rates, but building a new house may not always be the best way to create jobs. This intuitively makes sense. Rehabilitating old buildings is more labor-intensive than new construction, since much of the cost of new construction goes literally to bricks and mortar. But we asked Heidi Garrett-Peltier, an economist with the Political Economy Research Institute at the University of Massachusetts Amherst, for some data to back this up. She ran some estimates based on national 2009 data, the most recent numbers available. And it turns out that repairing existing residential buildings produces about 50 percent more jobs than building new ones. First, these communities would have to attract the investment needed to revamp blighted houses. This is already happening in neighborhoods such as historic Anacostia where young professionals are rehabbing old homes, but it’s occurring on a small scale. Redevelopment may create jobs, but it doesn’t mean locals will be hired for them, as shown by some existing building projects. Take the $3.4 billion redevelopment of St. Elizabeths in Ward 8, where about 20 percent of construction workers are D.C. residents. Even if locals are hired for redevelopment jobs, construction work is temporary. Pushing for rehabilitating older homes rather than building brand new ones could be one tactic in fighting D.C.’s unemployment, but it can’t be the only one. Citizens do not realize the assembly line attitude behind home building now. I have worked as a union carpenter and on my own. I had a company Mostly Maintenance and Construction Lic #690630 and found the bidding on remodels to be competitive too. This was during better times even. Insurance costs were too high,workmans comp was ABSURD.BondsLiabilityNot all the Low Bidders had wokmans comp. If I would have been CUT-THROAT and heartless I would have hired day laborers hanging around the Truitt and White parking lot and ripped them off. I would still be in business like some OTHERS I have seen in Action. Yes I have seen way too many terrible practices when money gets tight.